As the following testimonials and reviews show, Michael's clients appreciate the service he provides them. Michael will respond promptly to your communications. He will give you an expected completion time for his work, and he will keep you involved in all decisions about your legal matter. Michael knows the law and will explain it to you using plain language. Whatever issue you are facing, Michael will lay out your options and zealously pursue the option you choose. He will work to quickly resolve your problem so you can go back to focusing on other matters. Michael was trained at the leading law firm Simpson Thacher & Bartlett. Now that he has his own firm, Michael can provide his services at a fraction of the rates charged by larger law firms. Larger firms also make you pay for multiple attorneys and support staff, even though your case may not benefit from the extra cost. At Michael's firm, you will work directly with him, not with an associate or paralegal who has been delegated the work. I have worked with many lawyers on different business ventures over the years, but I would recommend Michael above them all. He provided my start-up with all the legal information that we needed. He took the time to learn about our market and what we sought to create, and he was able to provide the tailored counsel that helped us move forward. Michael is extremely knowledgeable and has done an excellent job handling our business and IP needs. I would recommend Michael without hesitation to anyone looking for quality legal representation. Michael is committed to ensuring his clients' satisfaction, and his current rating on Google is 5 out of 5 stars over 25+ reviews. Client reviews of Michael are available here. Michael Sullivan is a Silicon Valley attorney focused on providing intellectual property services. His goal as an attorney is to understand the needs of your business and efficiently provide solutions so you can continue to focus on your business. He has represented both large and small businesses ranging from one-person startups to Fortune 500 companies. Michael began his legal career in the corporate department of Simpson Thacher & Bartlett. At Simpson Thacher he represented a number of large companies, including Silver Lake in its private equity transactions and Microsoft in its acquisition of Skype. Michael is skilled at predicting tomorrow's business environment – he contributed to research on systemic risk in capital markets in 2007 over a year before the stock market collapse. 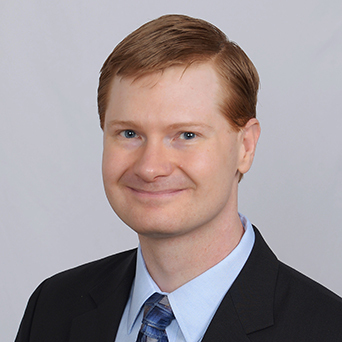 He is a registered patent attorney and graduate of Duke University School of Law. Required Disclaimer: The testimonials on this site do not constitute a guarantee, warranty, or prediction regarding the outcome of your legal matter. In some states this website may be considered to be attorney advertising.